The Portuguese transfer pricing rules have been in force since 2002, through the publication of Decree 1446-C/2001 (Portaria). This decree, combined with Article 63 of the Corporate Income Tax Code, establishes the transfer pricing principles and rules for Portugal. Complementarily, Article 138 of the Corporate Income Tax Code, as well as Decree 620-A/2008 of 16 July 2008, determine the framework of application of advanced pricing agreements (APAs). These rules are based on the OECD Transfer Pricing Guidelines, and Portaria states that 'for its application, in cases of greater technical complexity, it is advisable to consult the OECD Transfer Pricing Guidelines'. Portaria also states that these rules apply to all operations conducted between a corporate or individual taxpayer and any other entity with which the taxpayer has a special relationship, which seems to indicate that the rules apply to individuals, corporations and any other types of entities with whom the taxpayer has a special relationship. However, although those rules have specific corresponding provisions in the Corporate Income Tax Code, there is no reference at all to transfer pricing in the laws that govern taxation of individuals. This situation has triggered some as yet unresolved litigation between the Portuguese tax authorities and certain individuals regarding the use of transfer pricing rules to adjust individuals' taxable income. Although we should wait for final judicial decisions regarding this issue, it is more likely than not that the Portuguese transfer pricing rules do cover transactions that involve individuals, but do not allow any adjustment on the taxable income of individuals, but only in the taxable income of corporations and other entities subject to corporate income tax. Portuguese transfer pricing rules do not apply to equity operations, namely dividends, equity increases and decreases, etc. a resident entity – or a foreign company's permanent establishment (PE) – and entities resident in jurisdictions listed as tax havens. In addition, foreign entities and Portuguese PEs; Portuguese entities and correspondent foreign PEs; and Portuguese PEs and foreign PEs are also deemed to be related parties. Portaria clarifies that the scope of 'operations' subject to the transfer pricing rules includes financial operations and any commercial transaction, including those involving fixed or intangible assets, or goods, rights or services, even if those were conducted within cost sharing or contribution agreements, service agreements or other types of agreements, or if those result from any alteration of business structures, especially whenever that alteration involves the transfer of intangible elements or a compensation for losses or for lost profits. The Portuguese transfer pricing rules cover both domestic transactions as well as cross-border transactions, including those between a branch or a PE and its mother entity. whenever the conditions of a transaction, conducted between a Portuguese taxpayer and a resident related party, differ from those that would have been agreed, contracted or performed between independent enterprises, then the Portuguese tax authorities might carry out the adjustments required for the taxable income of that Portuguese taxpayer to be no different than what it should have been in the absence of the special relationship. The wording of Article 3 of Portaria has two relevant specificities: that taxpayers can only perform self-initiated transfer pricing adjustments on their tax return in case of cross-border transactions and when those adjustments are positive; and that all other transfer pricing adjustments are the exclusive competence of the tax authorities and, as such, are dependent on the tax authorities' assessment and decision. Although the Portuguese transfer pricing rules are closely based on the OECD standards, in 2014 the Portuguese tax authorities launched some new rules regarding the tax deductibility of some types of costs, namely financial, that do define a threshold above which those costs will not be tax-deductible, even when they comply with the transfer pricing rules, which is a first deviation from the strict application of the arm's-length principle in some specific fields in which the tax authorities have faced, through consistent litigation, difficulties in effectively applying the arm's-length approach. Accounting rules and treatment are generally the basis for the computation of the taxable income, although the Corporate Income Tax Code has several specific identification, recognition and deductibility rules that do differ from the accounting rules and require a specific reclassification or computation within the taxable income assessment. Article 13 of Portaria sets documentation requirements, namely a yearly preparation of a transfer pricing file for any taxpayer that has recorded, in the previous tax exercise, a total revenue of at least €3 million. Although that transfer pricing file must be prepared each year (for those taxpayers that have reached the above-mentioned threshold), it is not required to be automatically delivered to the tax authorities. It would only need to be provided to the tax authorities upon specific request, usually within a 10-calendar-day delivery deadline. Article 63 of the Corporate Income Tax Code also provides that taxpayers need to maintain proper transfer pricing support documentation. 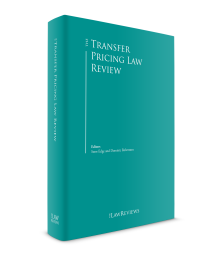 the transfer pricing economic analysis conducted to assess the compliance with the transfer pricing rules of each group of controlled transactions. No specific provisions are expressed in the legislation regarding a documentation structure of a master file and a local file. Nevertheless, the Portuguese transfer pricing documentation requirements already address the contents and information that the OECD recommends to include in the master file and the local file, and, in practice, the Portuguese tax authorities have been accepting documents with a master file or local file structure, if those do comply with the Portuguese documentation requirements (those do require some additional information compared to the OECD master file or local file approach). the transfer pricing methodologies used to assess compliance with the transfer pricing rules. Following BEPS Action 13, the Portuguese Budget Law for 2016 introduced a new additional documentation requirement through Article 121-A of the Corporate Income Tax Code. This new provision implements the country-by-country (CbC) reporting obligation for fiscal years starting on or after 1 January 2016. This new rule follows OECD recommendations regarding the CbC reporting requirements. 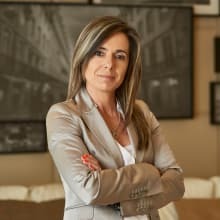 The Portuguese legislation allows a surrogate entity to be designated by the group, in the event a parent entity is not obliged to file a CbC report (CbCR), or where an automatic exchange of information process by the tax authorities of that jurisdiction with the Portuguese tax authorities is not in place. Nevertheless, such a reporting entity should be identified and communicated to the Portuguese tax authorities by the end of the relevant tax period. another motive (which needs to be disclosed on the 'other information' field of the CbCR. The CbC rules also imply the submission of additional information, also based on the OECD CbC guidelines, namely a communication of who will be the CbC reporting entity and in which jurisdiction that entity is located. The corresponding form also requires some information regarding that entity, namely its tax number and address, as well as the confirmation if that entity is a final ultimate owner or if it is submitting the CbCR as a surrogate entity. The deadline for that communication submission is the end of the fifth month after the closing of the accounts. the profit split method (PSM), the transactional net margin method (TNMM) and any other method deemed as the most appropriate taking into consideration the facts and circumstances and the arm's-length principle, whenever the methods foreseen in (a) are deemed non-applicable. As a result of the wording of Article 4 of Portaria, transaction-based methods such as CUPM, CPM and RMM are deemed as being the common usual methods, while the remaining profit-based methods can only be applied whenever the taxpayer can demonstrate that the transaction-based methods were not applicable. As a result, the method selection process described in the transfer pricing file of the taxpayer needs to address that inherent method hierarchy and, apart from explaining and supporting why the applied methods were deemed as being the most appropriate ones to test the controlled transactions under analysis, in the event profit-based methods were applied, it also needs to explain why transaction-based methods could not be applied or were not deemed as being the most appropriate testing method. Portaria contains quite detailed considerations about comparability, whether in Paragraph 3 of Article 4 or in Article 5 (the title of this article is 'Factors of comparability'), and those considerations follow closely the OECD Transfer Pricing Guidelines. Usually, whenever the taxpayer (or its related-party counterparty) conducts similar transactions with independent parties, then the internal CUPM, through the use of internal comparable data, will be deemed the most appropriate method to test compliance with the transfer pricing rules. The tax authorities do consider that internal comparable data may provide more reliable data to analyse the transaction or company under analysis than external comparable data. Taking this into consideration, internal comparable data are usually preferred over external data. If no internal comparable data (or no good internal comparable data) is available, but that external comparable price data can be identified, and whenever those external comparable data can be deemed as sufficiently comparable, then this is usually considered as the second-best testing method. issued or loaned to an entity located in the same region. There have already been some court cases that have confirmed the importance of comparability within the application of the CUPM. When the CUPM cannot be applied, one of the remaining indirect methods will be used, which will require the search of potentially comparable companies developing potentially comparable activities to the one being tested, within publicly available databases. Those methods are usually less demanding in terms of comparability, but those searches will nonetheless seek to obtain the most comparable data possible, namely through detailed industry and activity description searches, complemented with internet searches for more information about the potentially comparable companies. Apart from the comparability factors, those searches will seek to confirm whether those potentially comparable entities comply with the Portuguese independence rules (meaning that none of those entities can be directly or indirectly owned by a corporation by 20 per cent or more, and cannot own directly or indirectly any subsidiary by 20 per cent or more). The PSM is a method rarely used to date, because taxpayers are usually reluctant to proactively share information about the profits earned by their non-resident related entities, although tax authorities have tried to enforce the use of this method in some cases, with limited success. A possible outcome of BEPS may be an increased use of PSM, although this is yet to be seen in practice. The audit procedure usually begins with a notification sent by the tax authorities to the selected taxpayer, which sets out the nature and scope of the audit, as well as the rights and obligations of the taxpayer during the audit process. Nevertheless, we have observed an increasing tendency of the tax authorities to send initial informal requests for information prior to the sending of the notification and of the official audit procedure. In most cases, tax audits will be conducted through a series of requests for information or documents and access to accounting systems and books, and through several meetings and queries conducted with the accounting and financial interlocutors of the taxpayer. We have also observed an increasing tendency of the tax auditors to contact third parties (e.g., clients or providers) to gather evidence or to confirm statements made by the taxpayer. When the tax authorities identify potential transfer pricing issues within transactions conducted with non-resident entities they seek to gather information about the global tax position in order to assess the profit share by jurisdiction. For that purpose, they usually send requests of cooperation to other tax jurisdictions for them to issue requests of information to the counterparties of the transaction located in those jurisdictions. The implementation of CbC reporting (see Section II) will provide more information to the tax auditors to identify potential non-compliance of certain group transfer pricing policies. The Portuguese transfer pricing rules do not include any specific consideration on intangibles, but, as mentioned earlier, they contain an explicit referral rule directly to the OECD Guidelines. As such, the guidance for how to identify and recognise transactions with intangibles for transfer pricing purposes are the OECD Guidelines. As a result, the changes originated through BEPS Actions 8–10 were assimilated by the Portuguese market players as a more recent and updated definition of the guidance on how to deal with intangibles for transfer pricing purposes, not requiring a specific legislative change (and no such legal change is foreseen or expected regarding intangible definitions). Consequently, the recognition process has to be based on a detailed functional and risk analysis, which will identify the intangibles in the transactions under review, how they contribute to the creation of value and how they interact with other intangibles, with tangible assets and with business activities. The new OECD guidance clarifies that this functional analysis step will have to focus on DEMPE (development, enhancement, maintenance, protection, exploitation) functions and risks, seeking to identify which entity develops those functions, which entities assume the subsequent risks, which have control over risk (requiring ability and resources to perform that control) and which are funding the DEMPE functions or risks. It also highlights some specific functions deemed as particularly relevant for intangibles, namely design and control of research and marketing programmes, direction of and establishing priorities for creative undertakings, control over strategic decisions regarding intangible development programmes, management and control of budgets, important decisions regarding defence and protection of intangibles, and ongoing quality control over functions performed by independent or associated enterprises. Similarly, it also highlights some specific risks deemed as particularly relevant for intangibles, namely risk related to the development, obsolescence risk, infringement risk, product liability risk and exploitation risk. Taking into consideration that tax treatment is a critical factor in any investment decisions, in 2014 the Portuguese government launched a tax reform aiming to achieve a more competitive tax framework to attract investment, and promote economic growth and employment. Intangibles was one of the areas in which tax treatment was significantly changed. More specifically, the 2014 tax reform launched a new regime for intangibles through Articles 45-A and 50-A of the Corporate Income Tax Code. Article 45 aimed at recognising tax effects for intangibles with an indefinite life, and as such, it introduced the recognition, as a tax-deductible expense, of a constant depreciation, within the 20 tax exercises following the recognition, of the acquisition cost of some specific intangible assets that have no limited lifetime, namely patents, brands, licences and permits, production processes, models or other assimilated rights. The same applies to goodwill generated by acquisitions of the shares of other entities or of other entities' assets and liabilities. Similarly, at the same time (2014), a patent box regime was also introduced which enabled that income deriving from the sale or the temporary licensing of the use of industrial property rights (i.e., patents and industrial drawings and models) was 50 per cent exempt from corporate tax taxation. In 2016, that regime was amended, following the BEPS Action 5 guidance, also introducing a limit on the tax deduction, as well as a 30 per cent uplift on the tax deduction of some eligible R&D expenses. Tax authorities always fear that intangibles' intra-group transactions might lack effective substance and that they might have been artificially structured only to benefit from tax incentives or to shift profits abroad. These concerns regarding substance were particularly addressed by BEPS Actions 8–10. Despite the 'substance over form' concept being generally foreseen in the Portuguese rules, as stipulated in the General Taxation Law, the issues addressed under these BEPS Actions are not specifically embedded in the Portuguese transfer pricing rules. However, we do not anticipate that the Portuguese tax authorities will formally propose changes to the domestic transfer pricing framework. Hence, the OECD Guidelines are followed because Portugal is a Member State of the OECD and because the Portuguese transfer pricing rules include a specific referral to the OECD Transfer Pricing Guidelines. Nevertheless, it is important to note that the Portuguese transfer pricing rules are not embedded within the anti-abuse rules in place within the Portuguese legal and tax framework. As the application of the substance over form concept often implies more than just a pricing adjustment, we have observed several court decisions that have ruled against the tax authorities' attempt to recharacterise some transactions (due to the lack of substance) based on the transfer pricing rules, as the court considers that those attempts lack the substantiation and support required by the Portuguese anti-abuse rules, which are quite complex. As a result of that complexity, the Portuguese anti-abuse rules are not a path that is often followed by the Portuguese tax authorities, which, together with the fact the Portuguese transfer pricing rules are not embedded within that anti-abuse regime, limits the effectiveness of the substance over form concept in Portugal. It is still too early to conclude whether the new BEPS guidance can improve this paradigm. Under this new guidance, a contractual arrangement and the subsequent expected return will only be accepted if each party that is supposed to bear a risk is deemed to be effectively controlling that risk, taking the decisions to take on, lay off or mitigate that risk, and to have the financial capacity to bear that risk. As a result, even more than before, the functional and risk analysis is a critical part of the transfer pricing analysis. The new guidance calls that analysis the 'accurate delineation of a transaction', meaning comparing what derives from a written contract with the actual behaviour of the parties. The new guidance also states that the mere fact that a party is funding an activity or controlling the funding risks does not entitle that entity to the returns associated with the operational risks of that activity, unless it does exercise control over those risks as well. Control of funding risk is deemed to be about being able to evaluate an investment opportunity as an investor, meaning as a provider of funds, to take investment decisions and to set up mitigation procedures for funding risks. As a result, these functions and risks are deemed to be entitled to a remuneration aligned with what the market usually pays for similar financial functions, which is no more than a risk-adjusted financial return, and not the residual income deriving from operational risks or activities. The new guidance goes even further when stating that if the legal funding entity is not even managing and controlling the funding risks, namely due to lack of resources, but only providing the funds (meaning that some other entity is effectively managing and controlling that funding activity), then it will only be entitled to receive a risk-free rate of return. Comparatively, control of operational risks implies being able to analyse the consequences of potential alternative operational decisions on the business being developed and on its subsequent returns, having the authority to take those operational decisions and to assess, decide and implement mitigation procedures for those operational risks. Operational risks are entitled to receive residual returns. All of these characteristics imply specific resources and specific operational know-how, which cannot be found in pure funding structures. As such, decision-makers must be competent in the area of risk for which the decision is required, and they must be performing the decision-making function in the location of the entity claiming to be controlling the risk and the associated return. As a result, mere minutes of board meetings performed outside of that location, or signature of documents executing the decisions are deemed to be insufficient to demonstrate decision-making (this has already been enforced by an existing rule in place in Portugal, namely through the concept of 'effective management'). Traditional 'principal versus operational structures', in which the operational structures were traditionally awarded a return based on a transactional net margin method or a comparable profit method and the funding principal would get the residual income, might be non-compliant with the new guidance whenever the principal is merely funding the activity and not managing and controlling the operational risks. Whenever more than one entity controls the risks that drive the return, they will have to share the income based on their real contributions to the value creation. The new guidance recognises that payment for use of an intangible should be made to the party having the legal rights to such intangible, which, at a first glance, could be seen as a step back in the substance over form paradigm. However, the new guidance also stipulates that, when another entity has developed or participated in the development of the DEMPE functions, provides funding or assumes risks, a separate transaction dealing with that contribution must be considered. That assertion implies that the income flow deriving from the use of an intangible will not be diverted from the legal owner, but that entity has a transfer pricing obligation to remunerate the other entities that are developing activities that the legal owner is not performing, which can mean that the legal owner may end up not registering any profit at all after appropriately compensating the other group members for their contributions. The new guidelines also recognise that the legal owner does not need to perform all the DEMPE functions, as independent parties do sometimes subcontract others to develop parts of those functions, but, in that case it requires control to be effectively applied over those subcontracted activities and their performance, which requires determining the objectives of the outsourced activities, as well as capability to understand and assess the performance of the activity, to take decisions regarding selection, hiring, change and cancellation, as well as to effectively exercise those functions. ongoing quality control over functions performed by other parties that may have a material impact on the value of the intangible. viability and profitability risks associated with the returns to be generated by the future exploitation of the intangible being able to generate appropriate returns compared to the research and development costs. The party actually controlling, managing and assuming the risks will be entitled, through a secondary transaction, to the potential gains and losses deriving from those risks. In contrast, a party that is not controlling, managing and assuming those relevant risks, nor developing the relevant functions listed above, will not be entitled to the gains or responsible for the losses. There were no formal settlement or negotiation procedures with the Portuguese tax authorities foreseen in the Portuguese General Tax Law before the introduction of APA procedures. Until then, the interaction between taxpayers and tax authorities consisted mostly of audits, investigations and litigation. The only procedure that could be deemed as closer to a negotiation or settlement procedure is the taxable income revision procedure foreseen in Article 91 of the General Tax Law, which can only be initiated in the event the tax authorities do apply indirect methods to determine the taxable income of the taxpayer. In that procedure, both parties (taxpayer and tax authorities) will nominate experts who will analyse the case, and conduct working sessions and contradictory debates (which end up involving some kind of negotiation) in order to achieve a common technical understanding, which will be binding for the tax authorities (except in cases of tax crimes). Although the law did not specifically entail a negotiation alternative (apart from APAs, which will be addressed below), there have been cases where, in view of the proposed adjustments, informal discussions with the tax authorities (at an administrative stage of the process or during the audits) were conducted, in order to assess the arm's-length pricing of the controlled transaction under controversy. In this regard, it should be noted that following this solution is dependent on a variety of issues, ranging from the specialisation of the tax authorities' audit team involved in the process, and the availability of the latter for initiating such a negotiation, to the complexity of the analysis. In situations where the tax authorities' transfer pricing team is not involved or the taxpayer pursues a resolution of the controversy aimed at a full annulment of the proposed adjustment, this alternative is usually not successful. The possibility to conclude unilateral and multilateral APAs was introduced in 2008 and the inherent legal dispositions were subsequently amended in 2014, essentially with the aim of promoting and facilitating unilateral agreements. As such, the APA alternative is the unique course of action in situations in which a taxpayer wishes to proactively seek a negotiated understanding for a complex transfer pricing issue. However, note that a rollback of the terms and conditions negotiated under the APA is not formally possible, according to Portuguese law, although the tax authorities have informally agreed in the retroactive application of some signed APAs. Therefore, any retroactive application of the APA is subject to acceptance by the tax authorities responsible for the negotiation. Portuguese tax laws do not include any specific process for handling formal inquiries into transfer pricing issues. Therefore Portuguese tax authorities should follow the general tax inspection procedures stated in the Portuguese Tax Procedure Code (CPPT), as well as apply the timelines and detailed requirements given by the Complementary Requirements Code for Tax Inspection Procedures (RCPIT). Regarding the tax inspection procedure, Portuguese tax authorities may start this procedure for a four-year period after the end of the accounting period to which the tax assessment relates. However there are special rules applied if the tax return presents tax losses; in such cases, the forfeiture period shall be the same as the exercise of such right. The tax inspection procedure follows strict formal requirements, is continual and must be concluded within six months (Paragraph 1 of Article 57 of the General Tax Law). However, under certain circumstances, this period may be extended twice for three months each. The audit procedure is completed when the tax auditor considers that all the necessary information has been obtained to draw up a proposed tax audit report. This proposal is sent to the taxpayer, who has 10 days in which to dispute the preliminary conclusions of the proposal. After the 10-day period has elapsed, the tax auditor will issue a final audit report, which may give rise to an additional tax assessment. an administrative appeal, 30 days after the notification of the act to be appealed. Finally, resolution of tax disputes is regulated by a complex set of legal rules that determine different types of actions and deadlines, among other things, depending on the type of dispute in question. for the arbitration court (Article 10 of the Legal Regime of Tax Arbitration), within 90 days after any of the facts foreseen for the judicial courts mentioned above, or from the notice of the decision – as long as such acts can be subject to a separate claim – or from the end of the term for the decision of the administrative appeal; or within 30 days from the declaration of the illegality of acts determining the tax base when it does not give rise to the assessment of any tax. preparation of the allegations in written form (typically, in an articulate form), indicating and providing all means of evidence needed. As for the timelines, once again it depends on which litigation forum was used by the taxpayer: if the taxpayer has appealed to the judicial courts, a first instance decision is usually reached within three to five years after the submission of the process to the competent court. In situations where the taxpayer initiates the process in the arbitration court, a decision is usually reached within four to six months. In Portugal, the initial courts are the only fact-finding forums. As such, all evidence needs to be produced in the court of first instance. For this purpose, all means of evidence are admissible (documents, witnesses, specialist technical reports, etc. ), albeit the judge has some discretionary power to decide which means of evidence are useful for deciding the case. As such, any further appeals cannot be based on the existence of additional evidence, or aimed at producing evidence on the case under analysis. Nonetheless, the applicant can appeal based on the fact that the first instance decision did not allow a certain mean of evidence necessary for the decision of the cause, or such decision did not consider certain statements, documents or other means of evidence that should have been considered in the decision. an appeal to the Supreme Administrative Court within 10 days after the final decision from the initial court, if the reasons for appealing include only legal grounds. In any case, if the value of the case is lower than €5,000, no appeal can be brought. As a rule, the process includes a notification of the intention to appeal (within the aforementioned 10 days), a notification by the court accepting the appeal, and the presentation of the grounds for appealing and conclusions, within 15 days after the notification by the court (for the applicant), and 15 days after the end of the deadline for the applicant to present the allegations, with respect to the defendant. With respect to the likely timing for reaching a decision, it is somewhat difficult to estimate such deadline – in fact, it greatly depends on the complexity of the issue, as well as the court that is going to decide the appeal. Nonetheless, this tends to be a rather lengthy process, with decisions from the superior courts being reached 10 or even 15 years after the appeal. breach of the audi alteram partem and 'equality of arms' principles. In practice, most arbitration decisions are final. Portuguese transfer pricing rules do not include any specific provisions for secondary adjustments and, in practice, we have not observed any attempt by the tax authorities to apply such adjustments. Nevertheless, a case could be made that such adjustments could occur regarding customs, VAT or even stamp tax. Regarding customs, for example, in the case of a transfer pricing post-year-end adjustment to the price paid for imported goods, the Portuguese customs rules establish that a post-importation change in the reported customs value due to such an adjustment always needs to be reported (even in situations where the duty rate is zero). the post-closing adjustment decreases the price paid by the importer of the goods: should the transfer pricing adjustment decrease the price paid by the importer, a duty refund may be requested, within three years from the date of the taxable event, provided that the importer can provide proof to support the claim. The administrative procedure for claiming a refund is the same as the one prescribed for other value-related corrections; however, the taxpayer should contact the customs authorities to seek guidance on how to proceed. It should be noted that, although in theory an aggregate transfer pricing adjustment (i.e., an adjustment to the importer's profitability under a profit-based pricing method) may be relevant for adjusting the value of imported goods, the fact is that those types of adjustments rarely allow for a correction to the value of the goods for customs purposes. As such, it is recommended that, should customs be a concern for the taxpayer, a transaction-by-transaction transfer pricing adjustment be made, in order to be relevant for revising the customs duties already paid. There is also a relevant interaction between the customs authorities and the VAT tax authorities whenever a customs value increase or decrease is reported. In fact, in situations where a customs value increase is reported to the customs authorities, such an adjustment will automatically result in the assessment of additional VAT, if applicable; and where a customs value decrease is reported, the taxpayer needs to file a request in order to obtain a refund of overpaid VAT. penalties ranging from 30 per cent up to 100 per cent of the VAT or customs duties owed, with a maximum of €45,000 per transaction, plus 4 per cent interest per annum. These penalties may be reduced when a voluntary disclosure is made. Regarding VAT, in situations where a post-year-end adjustment occurs, and the taxpayer wishes to adjust the value of the goods or services considered for VAT purposes correspondingly, the corrective invoice that performs the adjustment needs to meet all the requirements of an original invoice, plus a reference to the original invoices to which the adjustment refers, and a reference to the elements of the original invoices that are subject to modification. Only corrective invoices that comply with these requirements may be considered in adjusting any original invoices that have already been submitted in the periodic VAT return. On the other hand, if the corrective invoice reduces the taxable value of the transaction, also causing a reduction in the VAT initially paid, the taxpayer may correct the initial VAT amount, up to the end of the period subsequent to the one in which the circumstances giving rise to the correction occurred. Note, however, that this is not a mandatory regularisation. If the corrective invoice results in more taxable value for the transaction, thus more VAT than the amount initially deducted, such regularisation is mandatory and can be done, without incurring penalties, until the end of the period subsequent to the one to which the original invoice refers. If this correction is not made by the prescribed deadline, the correction is still mandatory but then should take place in a replacement of the periodic VAT return for the period when the correct transaction should have occurred. Regarding penalties, specific transfer pricing penalties (from €500 to €10,000) apply for failure to present transfer pricing documentation within the time frame determined by the tax authorities. Should the taxpayer be subject to a transfer pricing adjustment, no specific transfer pricing penalties apply. In addition, depending on the circumstances, general tax penalties of up to €150,000 apply for refusal to provide information, or for providing incorrect or incomplete information. Double taxation treaties signed by Portugal do include the possibility for taxpayers to invoke a mutual agreement procedure (MAP). Also, as Portugal is a member of the European Union, the taxpayer may, whenever there is a tax dispute involving another member of the EU, invoke the EU Arbitration Convention (EUAC). As a practical disadvantage, the MAP is a long process and, ultimately, the tax authorities are not obliged to reach a decision on eliminating double taxation. Therefore, whenever possible (i.e., when the dispute involves another member of the EU), it is highly recommended that the taxpayer invokes the EUAC, as there is an obligation to reach a decision within two years after all relevant documentation is filed (in practice, we have had some cases where an agreement has been reached within three to five years). There are also some cases where the Portuguese tax authorities have even reached a decision to eliminate double taxation with respect to years already closed for inspection, under the good-faith and collaboration principle. Portugal adopted several of the OECD recommended BEPS initiatives prior to the publication of the BEPS reports, and is following through with the implementation, when required, of the remaining ones. The Portuguese tax authorities have become increasingly active in transfer pricing issues, developing more audits and focusing more on complex issues, namely intangibles, financial operations, systematic loss makers, branches and equity allocation. We have also observed an increase in the number of APAs under negotiation. It is still too early to judge the impact of the adoption of the BEPS initiatives. Surely, the tax authorities have expectations that these new rules will effectively tackle several of the usual tax-optimisation structures that were set up by multinational enterprises to achieve greater tax efficiency. The complexity and subjectivity of some of the recommended measures could make achievement of that objective difficult. It is likely that significant changes in the way multinational enterprises operate will occur and empty structures with no substance will probably disappear, but they will probably be replaced by other structures in which part of the relevant functions focused on by BEPS will be developed, as well as the relevant risks assumed. Those structures will still seek to take advantage of taxation differentials between jurisdictions, which are not expected to disappear, as tax authorities and governments will still compete to attract investment and employment, and, as a consequence, tax revenues, through differential and attractive tax measure packages. BEPS measures, namely the greater consistency deriving from the new documentation requirements and the new guidance, will probably increase and accelerate the already current trend of greater centralisation and greater automatisation and IT integration regarding transfer pricing policies and documentation, as opposed to the multiplicity of local policies aimed at adapting global policies to address local specificities of local transfer pricing rules. The digital economy is expected to be particularly affected by BEPS, although the divergences between the United States, European Union and OECD regarding this issue may imply lengthy negotiations and require adaptations to the current proposed measures. 1 Patrícia Matos is a partner and chartered accountant and Filipe de Moura is an associate partner at Deloitte & Associados, SROC, SA.